Comfortable rooms & spacious apartments, rich breakfast buffet or bread service, garden with heated pool, sunbathing lawn and garden house with whirlpool. 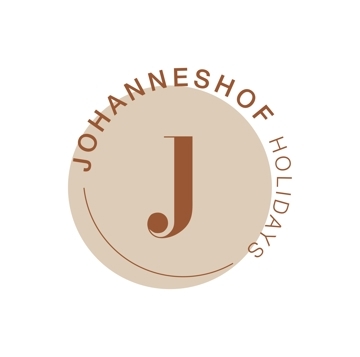 Welcome to Hotel-Residence Johanneshof***s in Tscherms! In the pleasant guestrooms and the spaciously furnished apartments of Hotel-Residence Johanneshof in Tscherms near Lana you will spend unforgettable holidays. 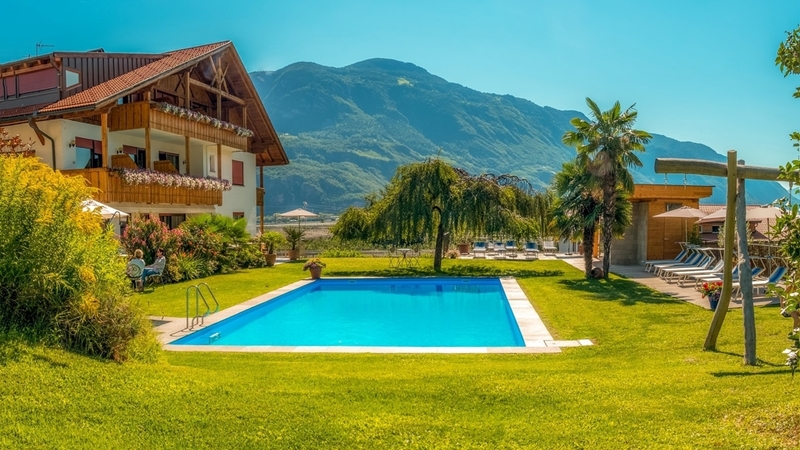 We attach great importance to coziness and comfort and moreover you will enjoy a wonderful panoramic view to the surrounding orchards and the region of Meran. On the one hand in Hotel-Residence Johanneshof you will find inviting, cozy rooms with large balconies, on the other hand there are lovely holiday flats of different sizes, each with elegant bathroom and wide balconies with a wonderful view. Furthermore we offer you a stylish and appealing breakfast room, where we’ll spoil you with a rich breakfast buffet, a home bar for entertaining evenings, a new entrance hall, a large outdoor pool with sunbathing lawn, a garden house with whirlpool and a sunny terrace. Our hotel is located in a strategic position and will allow you to reach any destination, even by public transport. We are only 10 minutes far from Meran and 5 minutes far from Lana. The surroundings of Tscherms offer the opportunity to practice countless sports like hiking, biking, skiing, horse riding, rafting, paragliding and golf! Family Torggler looks forward to seeing you soon!